Winter, and Winter outdoor projects, in a cold-weather state, are not something that is easily embraced. In fact, most folks would prefer to hunker down INSIDE the home, rather than OUTSIDE, as much as possible. Exterior home remodeling projects during the Winter are not for everyone, even the staunchest DIYer. But, that is where a home remodeling contractor will come in handy. To a professional exterior home remodeling contractor in Hamilton, NJ, the Winter elements are just another part of the job. Even if you don’t go ahead with the planned exterior remodeling job during the heart of the Winter season, but opt to wait until Spring, the time is ripe for scheduling and planning purposes once you secure the services of a home remodeling contractor. During the Winter season, an exterior remodeling specialist might experience some lag time due to the snowy and cold weather. Unless the contractor that you set your sights on vacations in a sunny clime for the season, you might want to do all your project planning with him or her in advance of Spring when everyone else is bitten by the same remodeling bug. However, Winter remodeling jobs can be done – read below to find out more. If the weather cooperates, and is not an anomaly like the Winter of 2013-2014, though no painting can be accomplished and that task might need to wait until Spring, exterior home remodeling experts suggest that there is no reason why a deck, porch or addition to a home cannot be undertaken in the Winter months. If your concern is how the project will take place as to ongoing dust and fumes, be advised that modern construction practices include controlling the mess and the clean-up process through the use of fans with negative pressure, plastic zip doors and sealing off heat ducts with a filter to contain the dust, debris and fumes in the work area only. Unfortunately, the brutal Winter temps might necessitate an immediate remodeling project – well, that’s unfortunate for sure. But, it happens, and contractors in a cold-weather state are prepared to do emergency work or elective remodeling on many types of projects. The horrible cold and snowy Winter of 2013-2014 taught us a great deal about snow maintenance on the roof because if those gutters were not cleaned out sufficiently, or a stray branch got lodged into your gutters and then subsequently the drainpipe, the frigid temps and expanding ice in the gutters may have you experiencing the pitfalls of an ice dam. If your gutters back up and an ice dam is created, you can suffer with leaking inside the home and damage to wood under the roof. Sometimes, even if the gutters are cleaned out in the Fall and have been maintained properly, the ice and snow can cause gutter seams to open, and problems with drainage will occur. 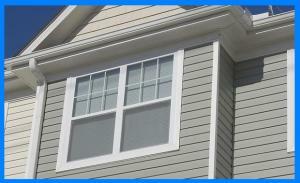 Your vinyl siding also may experience damage, all as a result of an ice dam and water/ice build-up. Unless you want to avoid an emergency visit from a contractor to put up new siding, which of course will not match the existing siding, because it no doubt will be faded from the sun, it is a good idea to keep those gutters properly maintained to avoid a domino effect of damage to your home. Of course you wish you had had the forethought to get replacement windows in the milder weather, but, if you simply can’t stand the cold draft emanating from your existing windows one minute longer, it might be time to consider replacing your old windows with more energy-efficient windows. You might think that the window replacement business might be a little lean during the Winter in a cold-weather state, but that particular business continues to thrive all year around. There are always windows being broken and/or damaged, no matter what the season. Not only are there incidents, often there are special deals to entice you to get your windows replaced in the off-season. When properly measured, and installed by a professional, a window can be replaced in as little as 15 minutes!! So, you are a little cold … translation – frigid, while the job is being done, but look on the bright side and know how toasty you will be when the project is completed. Your wallet will thank you as well when you see the wonderful decrease in the statement from your energy provider. If your home persists in being drafty, and you have checked for cracks or openings around windows or doors, have a well-functioning furnace and newer replacement windows, then – unbelievably, another culprit for a drafty and chilly home can be your vinyl siding. How you ask? Replacing existing siding with new siding fortified with sheets of rigid insulation foam can stop heat loss and drafts on a dime. 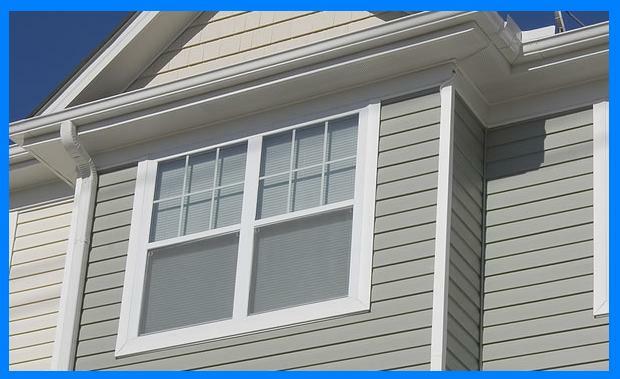 Like the concept of installing replacement windows in mid-Winter, likewise, vinyl siding may be installed on your home by a professional home remodeling contractor as long as the temperature is above zero. Preferably, installation of siding at over 40 degrees is best to prevent the siding from becoming brittle and mistakes being made from cutting and trimming in less-temperate weather. As you noted in the prior paragraphs, there is nothing wrong with having some exterior remodeling work done in the Winter. The website www.energyStar.gov has statistics to show that you can save nearly $100.00 a year when you replace your entrance doors with a door that can be sealed to allow minimal exposure to the cold, wind or otherwise horrid Winter elements. Doors are a little trickier to install than windows, but the end result will make you feel warm and fuzzy. Cost incentives are a big plus for Winter remodeling, and might just be the deal breaker in encouraging you to have remodeling work done in the off-season. Contractors do like to stay busy all year round, thus, a good deal behooves both of you in the long run. It is doubly smart to beat the project’s inevitable price hike come Spring.